There has been a huge uproar when Sony removed 'Other OS' feature from PlayStation 3 in April 2010 last year. This feature was used by the gamers to install Linux distributions like Yellow Dog Linux (YDL). 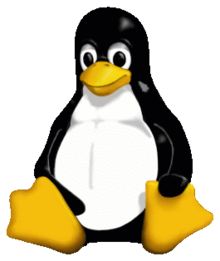 While this was not only a hobby for many to show off Linux running on PS3, many other users installed Linux to add extra functionality to PS3 to make it one stop box for gaming plus computing. Sony's reasoning behind removal was to prevent hacker exploits which allowed users to run pirated games and unauthorized software. California resident Anthony Ventura was one of many PS3 buyer who was not happy with this decision and filed a class action suit against Sony Computer Entertainment America stating this Sony did this intentionally and removed features that were promised originally when advertised. Now, a federal judge has dismissed this class action suit against Sony saying that as a matter of providing customer satisfaction and building loyalty this may be questionable but what Sony has done is not wrong legally. Plus plaintiffs' actually don't have sufficient strong arguments against the case and they are also flawed. Not good news for users but for Sony. What is interesting that piracy still exists on PS3 even after removal of Other OS feature. I know how we all love to install Linux on our gaming box.